"We are no longer safe here. We all have to disappear…" Universal has launched the first trailer for How to Train Your Dragon: The Hidden World, the latest sequel in the animated series from DreamWorks Animation. The story continues where it left off after the second movie, following Hiccup as the village chief and Toothless as the dragon as leader of his own kind. As both ascend, the darkest threat they’ve yet faced—as well as the appearance of a female Night Fury—will test the bonds of their relationship like never before. The film's voice cast features Jay Baruchel, America Ferrera, Cate Blanchett, Kit Harington, Craig Ferguson, and F. Murray Abraham. This is described as the "culmination" of the HTTYD series, and it looks like an epic grand finale. There's some jaw-dropping footage here and it looks delightful, I'm 100% in. For more updates on the series, visit the HTTYD official website here or follow on Twitter @DWAnimation. What began as an unlikely friendship between an adolescent Viking and a fearsome Night Fury dragon has become an epic trilogy spanning their lives. In this next chapter, Hiccup and Toothless will finally discover their true destinies: the village chief as ruler of Berk alongside Astrid, and the dragon as leader of his own kind. As both ascend, the darkest threat they’ve yet faced—as well as the appearance of a female Night Fury—will test the bonds of their relationship like never before. 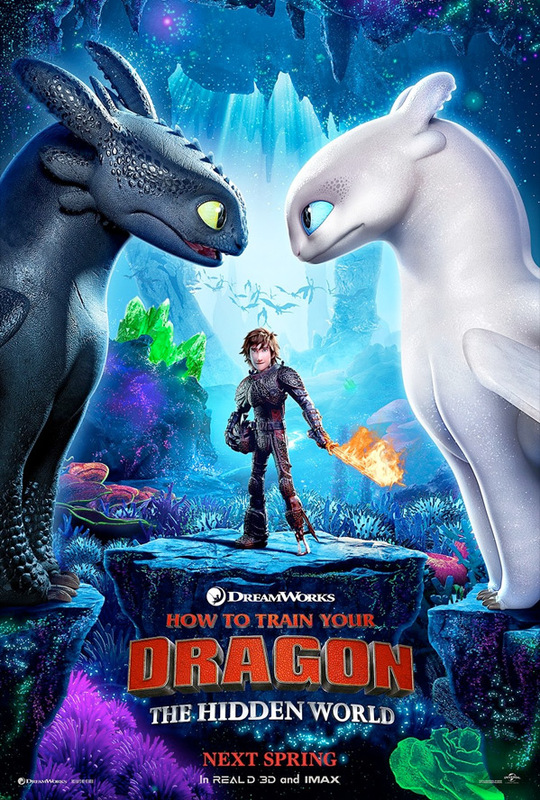 How to Train Your Dragon: The Hidden World is again written and directed by series filmmaker Dean DeBlois, who directed the first two How to Train Your Dragon movies, as well as Lilo & Stitch previously. Based on the the "How to Train Your Dragon" book series created by Cressida Cowell. Universal will release DreamWorks' How to Train Your Dragon: The Hidden World in theaters everywhere on March 1st, 2019 early next year. First impression?